You’re invited to join us on April 26 & 27 as our staff experts offer “Everyday RJ”, an introduction to restorative justice and its practical application in our everyday lives. 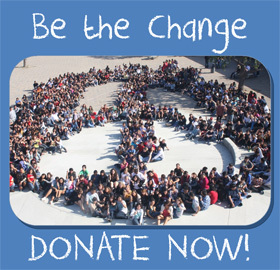 You’ll learn about Tier 1 and 2 tools including community building circles and restorative communication. 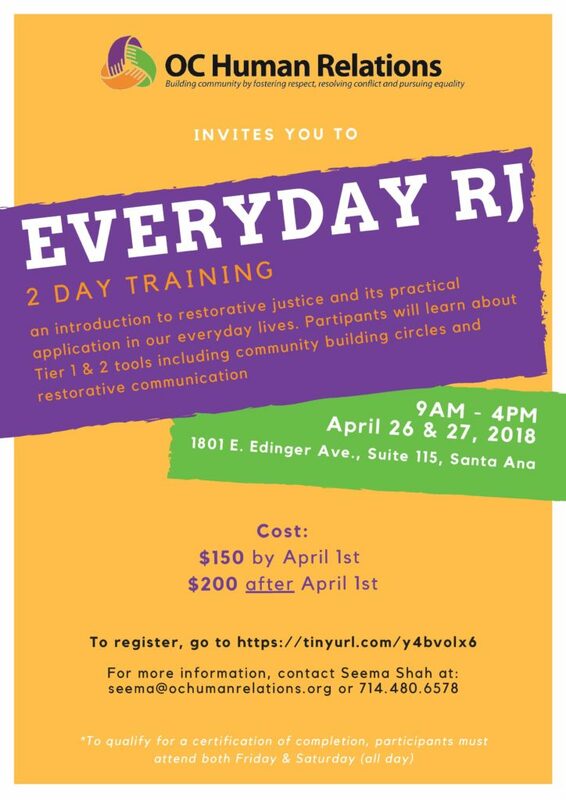 The Everyday RJ training is an introductory training in restorative justice and tools for building and maintaining community. Day 1 will aim to help participants learn how to lead community building circles to help build stronger communities through storytelling, dialogue and open conversations. Day 2 will introduce the group to the practice of restorative communication which combines interpersonal communication techniques of affective language (I-Messages), active listening, and restorative questions to create opportunities for respectful, reflective engagement during times of conflict and challenge.